On the 27th of July, 2014, the award winning film ‘Ship of Thesus’ was screened for a fundraising event at San Fransisco, that would benefit the cause of organ donation in India. bLifeNY, Indie Meme, Recyclewala Films and MOHAN USA, along with generous sponsors like Dr. Sachdev, Sightlife and Jaswinder, presented Anand Gandhi’s movie at the Meteron theatre in San Francisco. 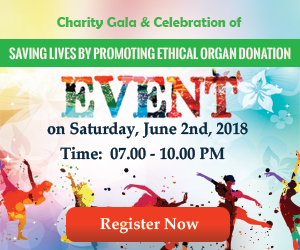 In attendance were Dr. Chris Barry from bLifeNY, Alka Bhanot from Indie Meme, Dr. Sunil Shroff from MOHAN Foundation, Mr. Mohan Mahal and Noel Sanchez from CTDN (California Transplant Donor Network) along with supporters of the cause and members of the general public. A number of visitors were recipients of organ transplants and came to support the cause with friends and family. The event began with an introduction by Dr. Chris Barry, followed by Dr. Sunil Shroff who talked about the work done by MOHAN Foundation in India to promote deceased donor organ transplantation. This was followed by a talk by CTDN. The movie and its message was well received by the audience and together with the event in Rochester, approx. $5000 was raised for supporting the cause of organ donation in India. More importantly, there was a significant increase in awareness about the activities of MOHAN Foundation and many personal connections were formed between members of the foundation and CTDN. This was followed by a lavish dinner hosted by Mr. Mohan Mahal which informally marked the launch of MOHAN USA. MOHAN USA wishes to thank bLifeNY, Indie meme, Recyclewala films, CTDN, Mr. Mohan Mahal and other sponsors for their time, effort and generosity.